On Saturday night Philippine Senator and boxing legend Manny Pacquiao will return to the ring and chase another world title as he faces Jessie Vargas for Vargas’ WBO Welterweight Title. Pacquiao has long been a mainstay with HBO Boxing and nearly all of his pay per views were distributed by them. However, HBO has chosen to go forward with the Andre Ward and Sergey Kovalev PPV bout in the month of November and is letting Bob Arum’s Top Rank Boxing distribute Pacquiao’s PPV on their own. Top Rank has wisely decided to stack their card with four world title fights in what should be an entertaining night of fights. The card will be held at the Thomas and Mack Center in Las Vegas, Nevada. The following is a preview of all four world title bouts. This is a rematch of a bout that happened on November 23rd, 2014 in which Shiming defeated Phaprom by decision. Zou Shiming was supposed to be Top Rank’s vehicle to grow the sport of boxing in China and establish a strong foothold there. He was successful in helping Top Rank break into the Chinese market, but he has lost some of his luster since losing to Amnat Ruenroeng in an IBF Flyweight Title fight in March of 2017. Shiming is a two time Olympic Gold Medalist and won the Bronze in 2004. He’s the most decorated amateur boxer to ever come out of China and is currently trained by Freddie Roach. Phaprom does not have the amateur accolades that Shiming possesses. Both boxers are thirty five years old and neither can be considered to be in the midst of the physical prime. Shiming will have a two and a half inch height advantage as well as a two and a half inch reach advantage. Shiming is not known for his power and many pundits question whether his amateur abilities can translate to the profressional stage He only has two stoppage victories on his resume while Phaprom has stopped twenty four of his opponents. Phaprom has been very active and has fought five times in 2016. However, Phaprom has fought almost exclusively in Thailand and has only fought outside of it once, when he first faced and lost to Shiming. He also doesn’t have any big name victories on his resume, but has fought thirteen more times since losing to Shiming. This will be Shiming’s third fight in 2016, and he has defeated the likes of Phaprom, Jozsef Ajtai, Natan Coutinho, and Luis de la Rosa. His lone loss was to Amnat Ruenroeng. This rematch should play out in a similar fashion to their first bout, with Shiming ending the fight as the winner. Nonito Donaire is the second most Filipino boxer in the world today, but this will be the first time he has ever fought on the same card as Manny Pacquiao. Donaire’s best days might be behind him. He’s thirty three years old and will be nine year older than Magdaleno come fight night. However, he will be about one inch taller than Magdaleno and will have about a two inch reach advantage. Both boxers have had successful amateur careers. Donaire was a National Junior Olympics Flyweight Champion, a National Light Flyweight Champions, and a Silver Gloves Champion. Magdaleno was a US National Champion in the bantamweight division and a National Golden Gloves Champion in the bantamweight division. Both boxers come from a family of boxers and have brothers who compete or have competed professionally. However, Donaire is a former title holder in the flyweight, bantamweight, super bantamweight, and featherweight divisions while Magdaleno is still chasing his first world title. Donaire has been in the ring with some of the best the sport has to offer. He has defeated the likes of Zsolt Bedak, Cesar Juarez, Vic Darchinyan, Jorge Arce, Toshiaki Nishioka, Jeffrey Mathebula, Wilfredo Vazquez Jr., Omar Narvaez, and Fernando Montiel. 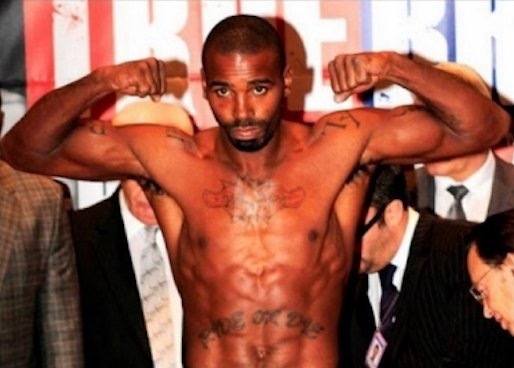 His losses were to Guillermo Rigondeaux, Nicholas Walters, and Rosendo Sanchez in the second fight of his career. This will be a big step up for Magdaleno, and he has never fought someone as a professional on the level of Donaire. He has defeated the likes of Rey Perez, Erik Ruiz, and Roberto Castandeda. This might be the last swan song for Donaire. There’s been a noticeable drop in his speed and power since he lost to Rigondeaux and he was stopped, quite brutally, by Walters. He’s still a good boxer and is experienced enough to give Magdaleno a tough time inside the ring, but Magdaleno is just entering his prime and should be able to defeat the older Donaire. Oscar Valdez is one of the most promising young champions on the roster of Top Rank Promotions. He’s also featured in one of the biggest mismatches of the night. The one, and perhaps only, advantage Osawa will have on Saturday night is that he is about an inch and half taller and four inches longer than Valdez. However, Valdez is the better technical boxer, the more powerful puncher, the quicker fighter, and will be about six years younger than Osawa. Valdez has an impressive eighteen knockouts and has stopped four of his past five opponents. Osawa stopped nineteen of his opponents but is currently riding an eight fight stoppage victory streak. Valdez has a deep amateur background and represented Mexico in the 2008 and 2012 Summer Olympics. Osawa has no such amateur background. Both boxers have been fairly active in the past two years. Valdez fought four times in 2015 and fought twice in 2016. Osawa fought three times in 2015 and once in 2016. Osawa has fought exclusively in Asia and his resume does not include any big name victories. He has losses to unheralded boxers such as Mitsuya Omura, JR Sollano, and Daiki Koide. Valdez only recently won WBO Featherweight title, and has impressive victories over Evgeny Gradovich, Matias Rueda, Chris Avalos, Ruben Tamayo, and Jose Ramirez. Valdez is the most likely boxer to score a stoppage victory on Saturday night. Manny Pacquiao, despite being a Senator for the Philippines, is still considered a top talent in the welterweight division and one of the sport’s biggest draws. He’s publically stated his desire to face Floyd Mayweather Jr. in a rematch, but he first has to get past a tough, young, opponent in Jessie Vargas. Pacquiao, at the age of thirty seven, is ten years older than his opponent and considered by many to be past his physical prime. Pacquiao will also be giving up four and a half inches in height as well as four inches in reach to his younger opponent. The one thing that Vargas does not have is power. He’s only stopped ten of his opponents, but he did stop Sadam Ali in his last bout. Pacquiao has stopped thirty eight of his opponents, but his last stoppage victory was in 2009, twelve fights ago, against Miguel Cotto. Vargas has an impressive amateur background. He’s a two time Mexican National Champion and a two time US Junior National Champion. Pacquiao turned professional as a teenager and does not have the amateur accolades that Vargas has. Vargas has a good professional resume but it still pales in comparison to Pacquiao. He has defeated the likes of Sadam Ali, Antonio DeMarco, Anton Novikov, Khabib Allakhverdiev, Ray Narh, Aaron Martinez, Steve Forbes, and Josesito Lopez. His lone loss was a close bout to Timothy Bradley. Pacquiao, clearly, has a hall of fame resume. His notable victories include Juan Manuel Marquez, Miguel Cotto, Antonio Margarito, Erik Morales, Marco Antonio Barrera, Ricky Hatton, Oscar De La Hoya, Brandon Rios, Chris Algieri, Shane Mosley, and Lehlo Ledwaba. His losses were to Juan Manuel Marquez, Floyd Mayweather Jr., Timothy Bradley, and three losses early on in his career to Singsurat, Torrecampo, and Erik Morales. Pacquiao had erased any concerns about his demise in his last bout with Timothy Bradley Jr., which he won fairly convincingly. Vargas’ age and reach may give Pacquiao some problems early on, but it’s not something that Pacquiao hasn’t handled before. 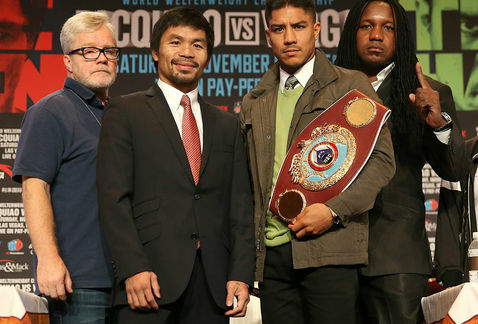 Pacquiao should walk away with another decision victory, but it will be a tougher than expected fight.